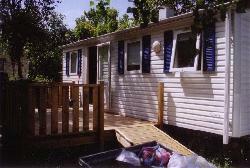 Offre Location Mobil Home Vacances, capacité jusqu'à 6 personnes. 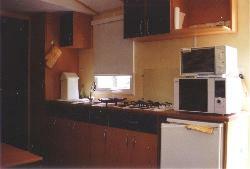 Offre Location vacances Loue Mobilhomme 6 Pers AGDE. LOUE MOBILHOMME AGDE POUR 6 PERSONNES.TOUT CONFORT: FRIGO, CONGELATEUR, MI NI-FOUR, MICRO-ONDES, TELEVISION CAFETIERE ET TOUT LE NECESSAIRE CUISINE.TERRASSE COMPRENANT SALON DE JARDIN + BAINS DE SOLEIL.BARBECUE GAZ+ ACCES TERRASSE POUR FAUTEUIL HANDICAPE OU POUSSETTE.SITUE DANS CAMPING 3 ETOILES A 900 METRES DE LA MER. TRANQUILLE ET OMBRAGE, AVEC PISCINE +PATAUGEOIRE ENFANT. EPICERIE BAR RESTAURANT ANIME TOUT L'ETE. TARIFS : AVRIL MAI 200 € JUIN 250 € JUILLET (RESTE DISPONIBLES SEMAINES: 27,28,29,30) 530 € SEPEMBRE 330 €.LES TAXES DE SEJOURS SONT COMPRISES DANS LE LOYER. 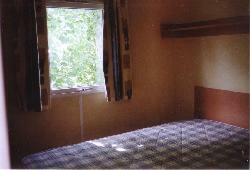 Offre Location vacances Hérault - Loue Mobilhomme 6 Pers AGDE. Présentation offre Loue Mobilhomme 6 Pers AGDE. LOUE MOBILHOMME AGDE POUR 6 PERSONNES.TOUT CONFORT: FRIGO, CONGELATEUR, MI NI-FOUR, MICRO-ONDES, TELEVISION CAFETIERE ET TOUT LE NECESSAIRE CUISINE.TERRASSE COMPRENANT SALON DE JARDIN + BAINS DE SOLEIL.BARBECUE GAZ+ ACCES TERRASSE POUR FAUTEUIL HANDICAPE OU POUSSETTE.SITUE DANS CAMPING 3 ETOILES A 900 METRES DE LA MER. TRANQUILLE ET OMBRAGE, AVEC PISCINE +PATAUGEOIRE ENFANT. EPICERIE BAR RESTAURANT ANIME TOUT L'ETE.